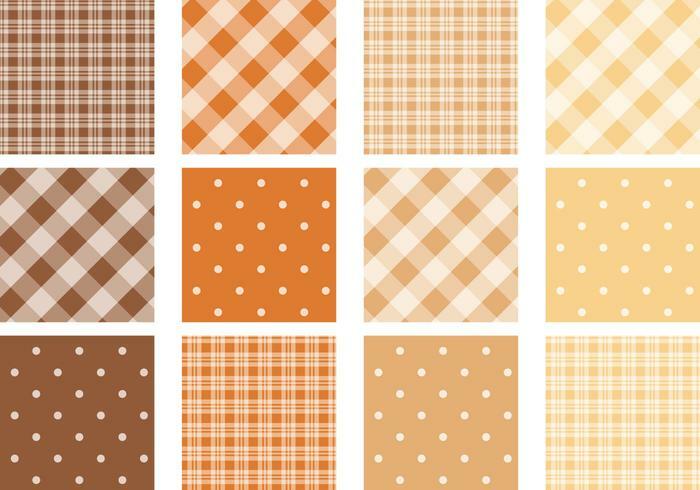 Fall Colored Plaid and Polka Dot Pattern Pack - Free Photoshop Brushes at Brusheezy! With autumn right around the corner we are getting pretty excited for pumpkin desserts, changing leaves, and scarves! With this new Fall Colored Plaid and Polka Dot Pattern Pack, you can get all your autumn designs ready. Included in this pack are twelve different polka dot patterns and plaid patterns created in warm fall oranges, browns, and creams. Use these polka dot patterns in your next project and then download the <a href="http://www.vecteezy.com/patterns/58294-plaid-and-polka-dot-pattern-vector-pack/premium">Fall Plaid and Polka Dot Pattern Vector Pack</a> over on Vecteezy!